In life there are places and monuments that you hear stories about and you can’t wait to visit them someday. When you actually get there some of them fall flat for you, not living up to the childhood vision you had, but others simply take your breath away and leave you mesmerized. 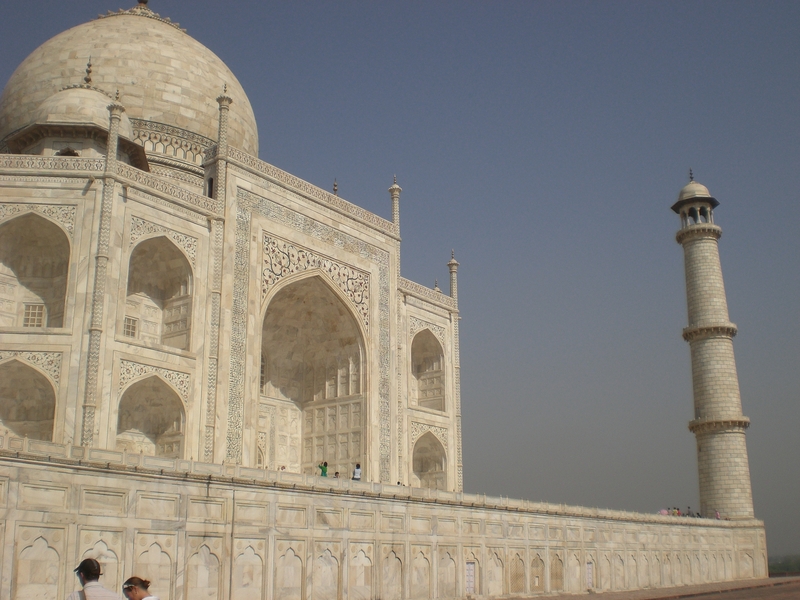 The Taj Mahal in Agra, India is one of those places for me. 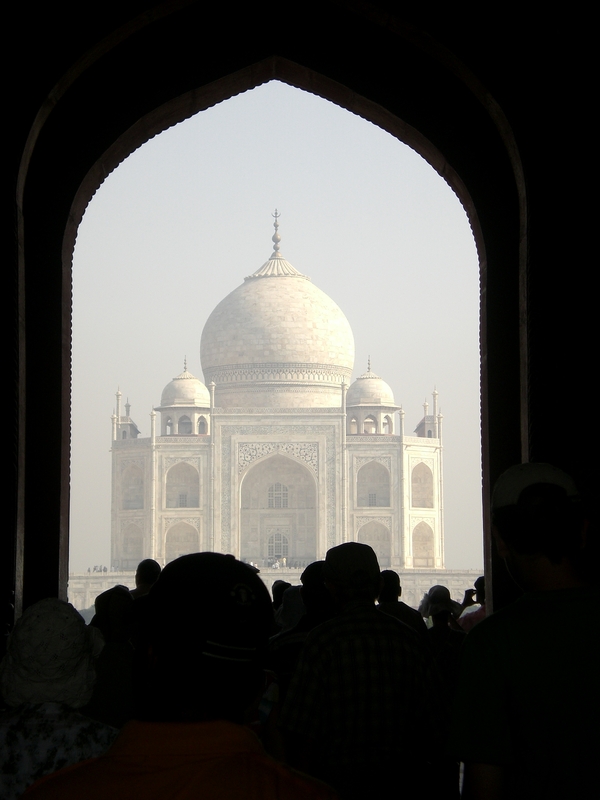 I had always wanted to see it in person and from the moment I stepped through the entrance, the Taj entranced me, pulling me closer with its milky glow. 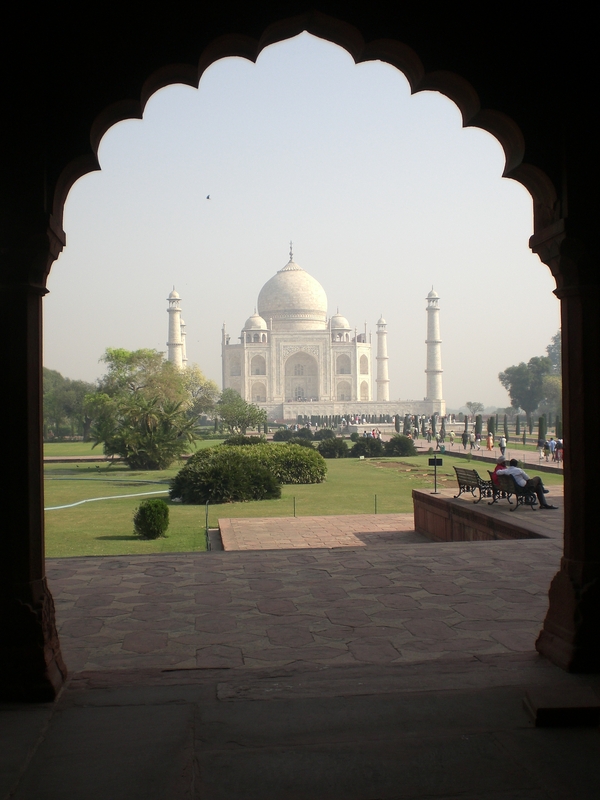 There are so many things to love about the Taj Mahal. 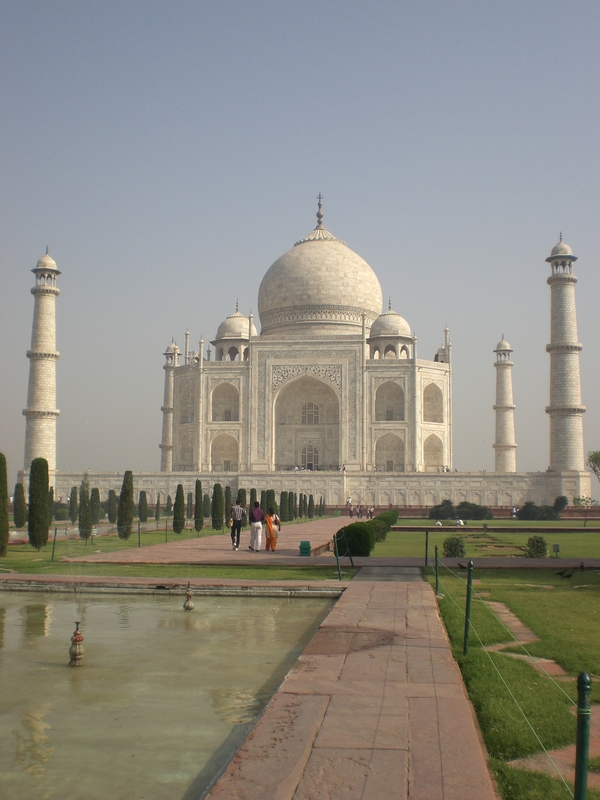 The expansive grounds, the reflection pool, the intricate inlaid floral designs made from malachite and lapis, the beautifully scrolled arabic on the building, the views, the crisp white marble, but most of all, its greatest lure lies in the deep love story of a king who loved his queen so utterly that he built this magnificent monument in her honor. Their love is expressed in the details, the labor, the vision and the creation of this sacred place. 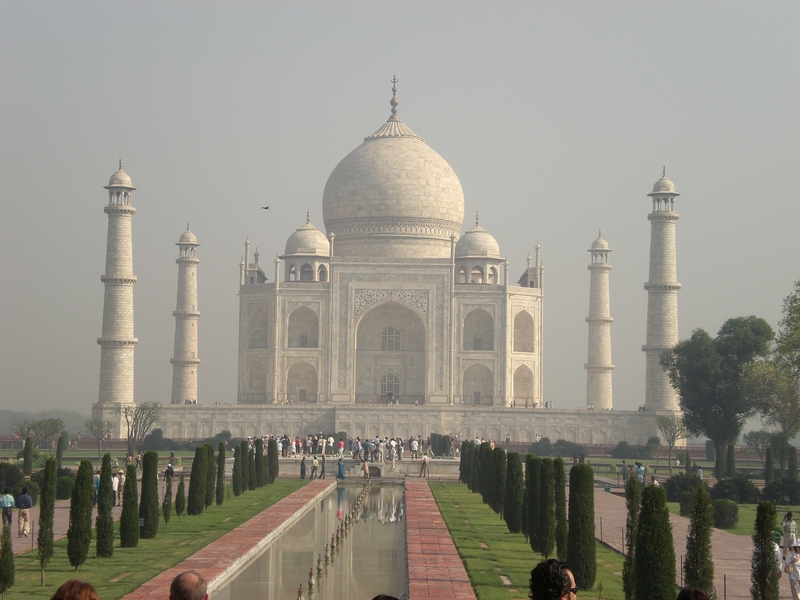 It is a monument built from love, for love and it glows with that essence. 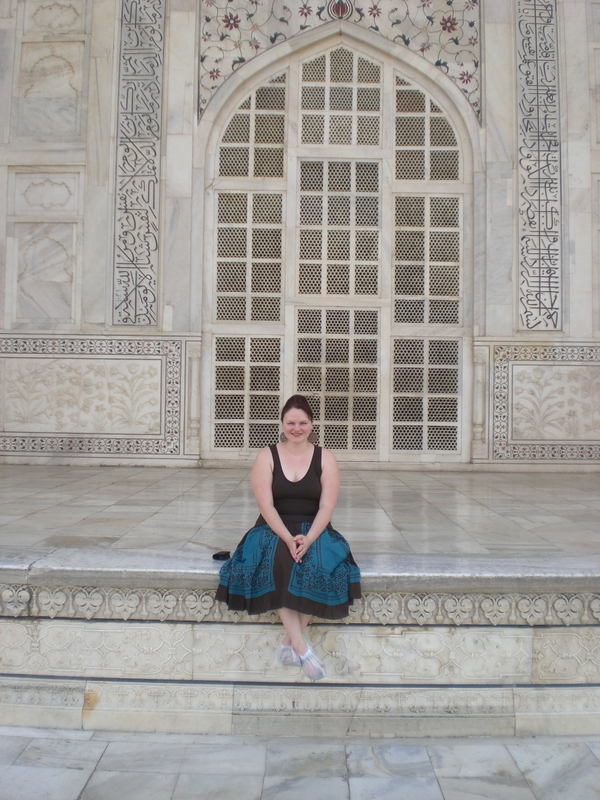 We spent almost 2 hours at the Taj Mahal and I did not want to leave. I couldn’t soak up enough of its splendor. As we departed I kept glancing back at its beauty, in hopes of permanently imprinting its presence in my mind. 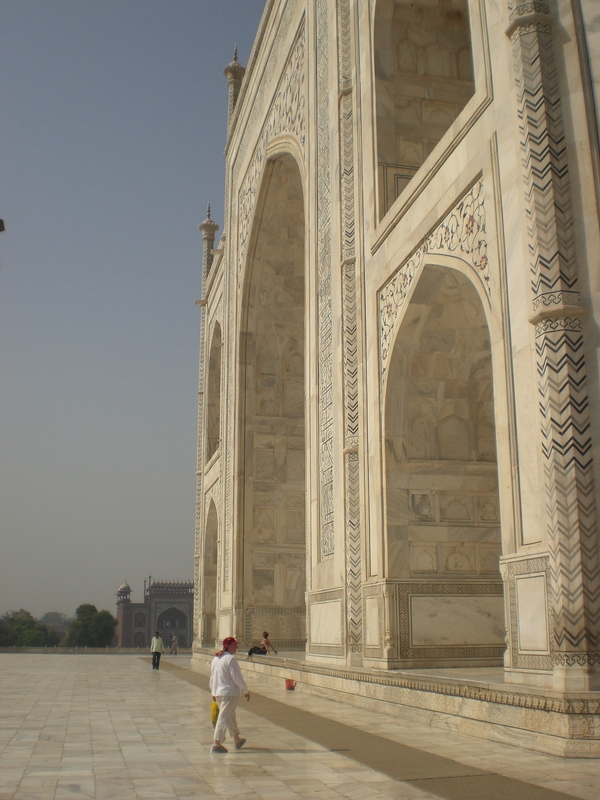 I could stay in the Taj’s company for days and not tire of my new beautiful friend. I hope that we have the fortune of meeting again soon. With love, until we meet again next Friday.